Do your summer plans include exploring our home state? There’s still time this summer to see the natural beauty of Colorado—just check out a free State Parks Pass with your Summit County library card! Why are these passes available? 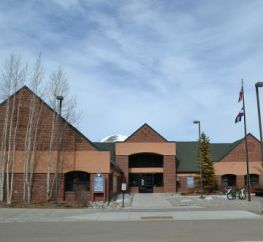 Summit County Library is part of the #CheckOutColorado State Parks library loan program. 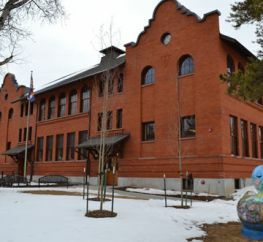 This is a special partnership between Colorado Parks and Wildlife and the Colorado Department of Education State Library. To learn more about how this program is making an impact, click here. Each library has two park passes that can be check out for one week. The pass will grant one car FREE access to any Colorado State Park. Backpacks cannot be placed on hold, and they are first come, first served. We are happy to call one of our other locations to see if any passes are available if all of them are checked out at the branch you visit. As a courtesy to us, please return backpacks to the branch where you checked the backpack out. Find one of Colorado’s 41 state parks using the State Park Finder. There are over 700 miles of maintained trails for hiking and biking in our state parks, in addition to fishing, boating, paddle boarding, and more! Please make sure to fill out the evaluation when you return the backpack. These evaluations help keep the State Park Pass program running! Don’t forget: Hang the pass in the rear view mirror—it must be visible in your car. The pass does not give any discounts for camping, programs, licenses, etc. 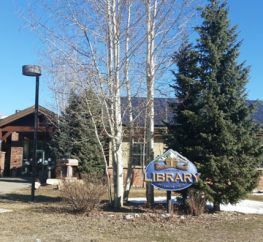 Visit one of our three locations—Main Library in Frisco, North Branch in Silverthorne, or South Branch in Breckenridge—to check out a backpack today and head out for an adventure! Be sure to take some pictures while you’re out and send them to us! We’d love to share your adventures to help promote this service. Send your pictures to sarah.scheinman@summitcountyco.gov.